October made her grand debut here with cold temperatures, rainstorms, and leaves that seemed to change colors overnight. Clearly, she wanted to make an entrance! And although I had to hustle to unpack my sweaters from storage, it was a welcome change of scenery, literally. 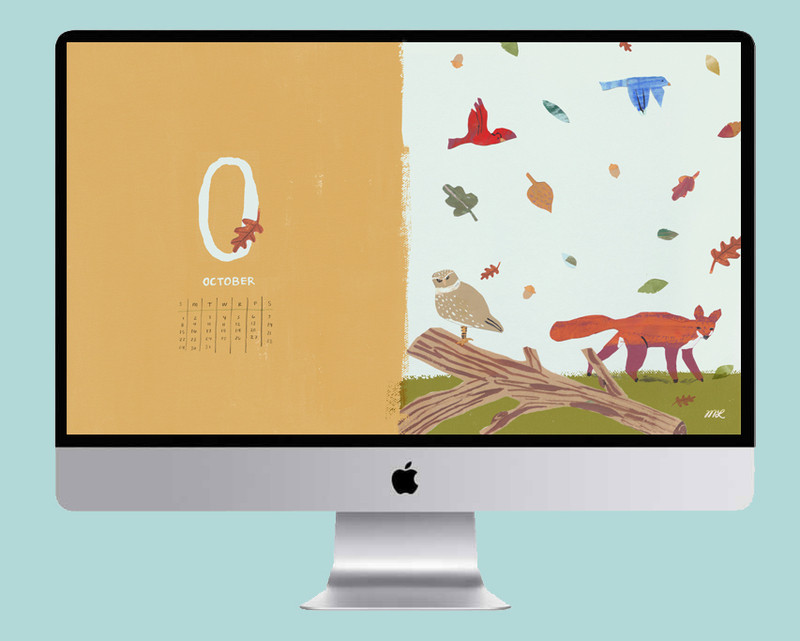 I love our new October Desktop Wallpaper because it so perfectly captures the magic of Autumn! I had a chance to go on a walk this past weekend and the brisk weather and falling leaves were just what the doctor ordered. So let’s all try to enjoy the subtle, and not so subtle, signs of Fall this month! 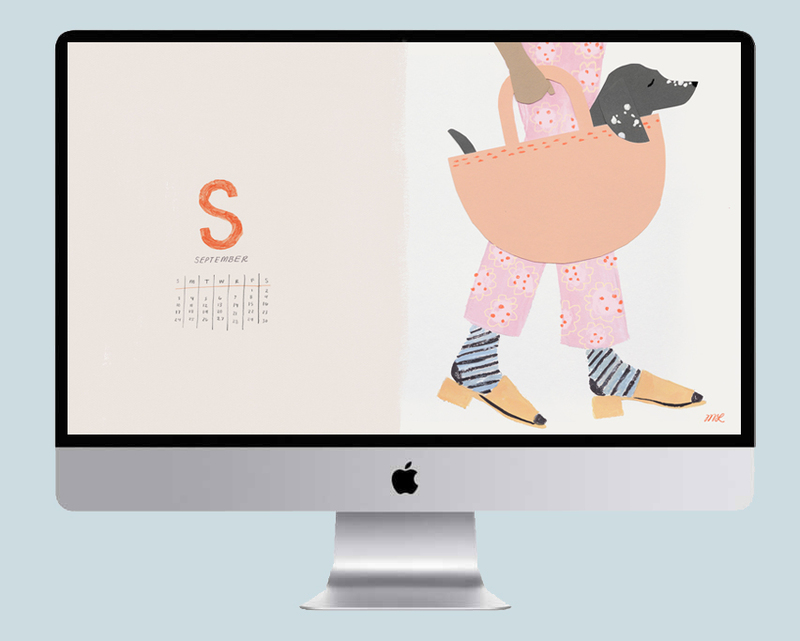 Get the free October Desktop Wallpaper Downloads! Time for the new September 2017 wallpaper! Have you ever heard that September is the January of fall? With school starting, September is often associated with fresh starts and new beginnings. So even though our blessed summer days are numbered (tear), consider September a jump start to setting new goals and trying new things! Take time to be present and really focus on what you want to accomplish this season. Taking a walk is often the perfect way to clear your head, breathe deeply, and enjoy the quiet. Also, it doesn’t hurt to mix patterns and bring a pup along for the ride! Who’s with me!? I’ve got a good feeling about September. Remember to download the September wallpaper as a reminder! Can you believe it’s already August? Which means we’ve got our August 2017 wallpaper downloads! We’re getting into the thick of summer and I wish it would last forever! I love long summer days when it’s in the 70’s and the sun is still shining into the evening hours. 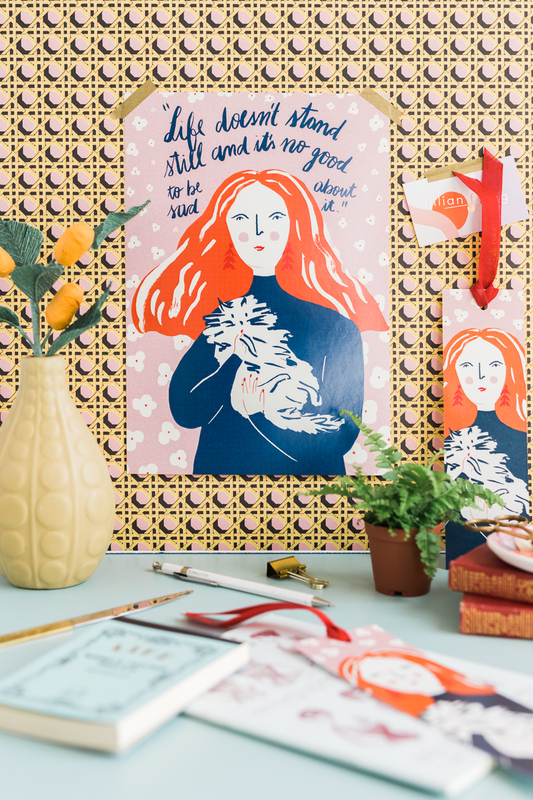 There are so many things to do in the summer: art walks, festivals, berry picking, swimming, and state fairs. Gumballs seem to be a perfect representation of those carefree summer days! 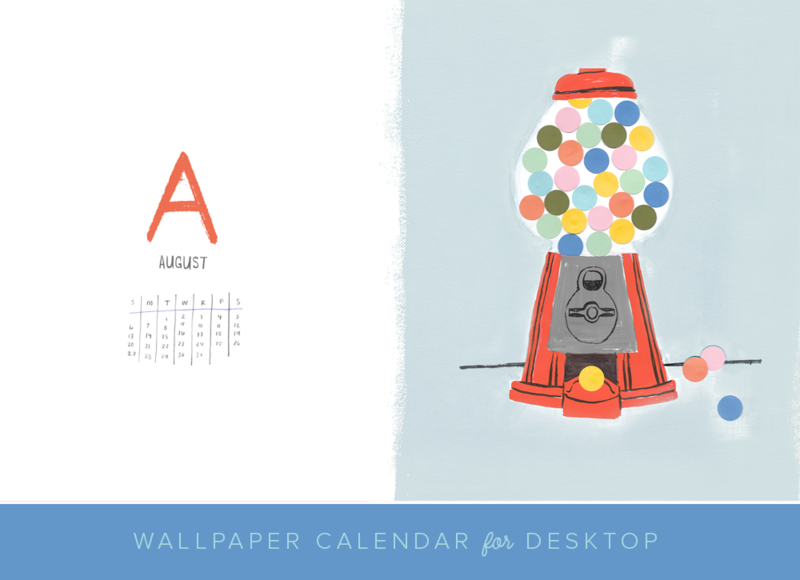 So savor the last month of summer with this colorful desktop and phone wallpaper. 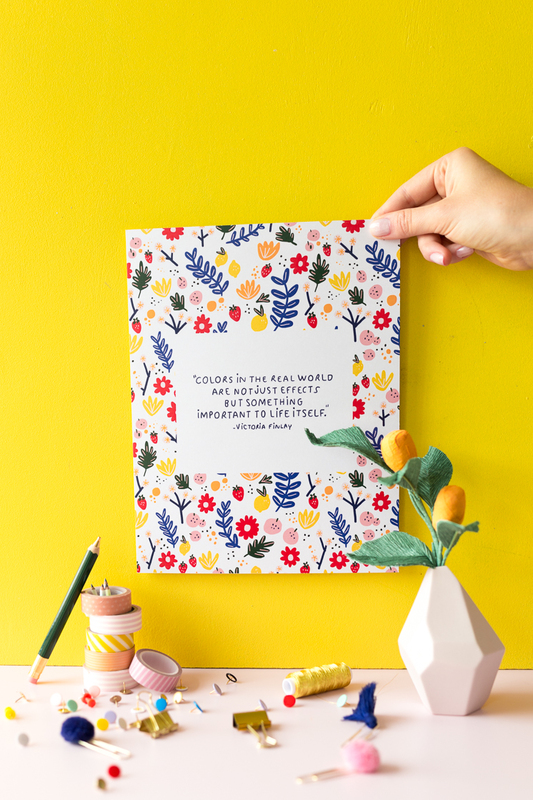 It will act as a daily reminder to enjoy the simple pleasures! Continue on for the free downloads! Have you been enjoying The Brilliant History of Color in Art?? We’ve gotten some enthusiastic feedback on @larsbookclub , our Instagram feed! 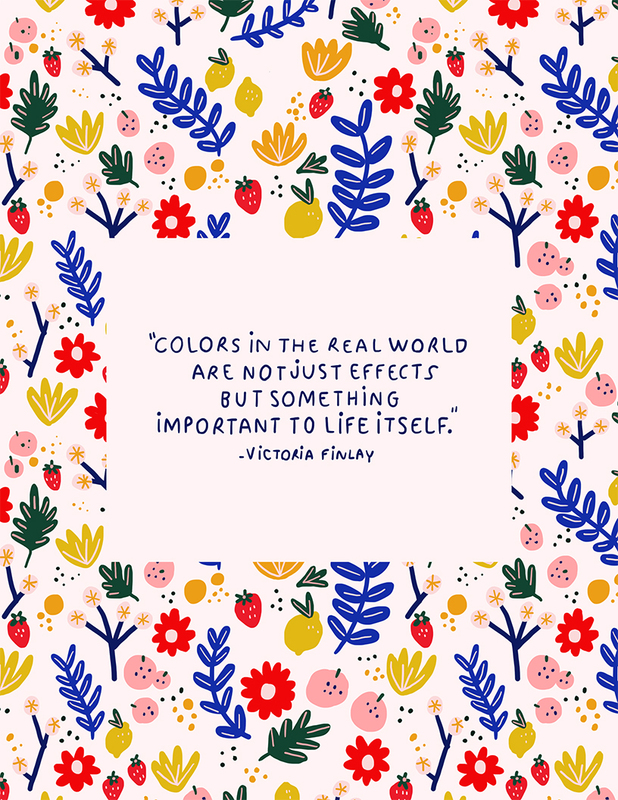 Apparently, you love to learn about the colors around us and throughout history just as much as we do. Well, we hit the jackpot with this book in regards to “extras”. The J. Paul Getty Museum features this book on their website, along with art lessons for kids, a self-guided museum tour, discussion questions, AND even a quiz! What did you REALLY learn about these colors? 😉 Take the quiz and find out! Find the Getty’s great educational site here. We included a couple of their questions below, but be sure to head to their site for more! 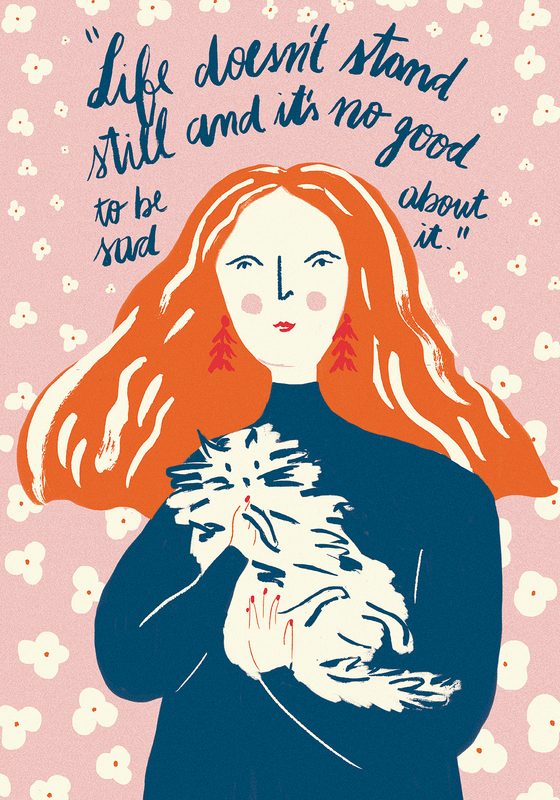 Don’t forget to print out this month’s incredible artwork by our featured illustrator, Jennifer Bouron.